Russian Foreign Minister Sergei Lavrov has addressed journalists following the downing of the Russian Su-24 jet by an air-to-air missile launched from a Turkish F-16. The Russian minister held a phone conversation with his Turkish counterpart Mevlut Cavusoglu earlier in the day. "Moscow is not avoiding contacts with Ankara — my phone conversation with the Turkish FM is proof," Lavrov said. Turkey's foreign minister expressed his sincere condolences to Sergei Lavrov, the Russian Foreign Minister said. But the Turkish minister tried to excuse the incident, Lavrov added. The Turkish minister said that Turkey did not know it was a Russian jet. "We have serious doubts it was an accident and prepared footage of the jet downing suggests it wasn't," Sergei Lavrov said. "It all looks like a planned provocation". The incident occured following the airstrikes by Russian aviation on ISIL oil trucks. At NATO's meeting yesterday, strange words concerning Russia's Su-24 jet tragedy were said. We recieved no condolences from NATO or the European Union, Sergei Lavrov said. Let me remind you, Russian warplanes were in Syrian airspace. But even if a Russian jet crosses into Turkish airspace serious questions arise as to why Turkey did not use the emergency communication line with Russia before or after downing the Su-24 bomber jet, the Russian Foreign Minister added. "I reminded him [Turkish foreign minister] that on Russia’s initiative a hotline between the Russian National Defense Control Center and the Turkish Defense Ministry was established. The line was established at the beginning of the Russian Aerospace Forces operation in Syria, and was used neither yesterday nor before that, which provokes serious questions," Lavrov told the press. Ankara has stated it was unaware that the aircraft belonged to Russia. Lavrov also said he recalled a 2012 statement by Turkish President Recep Tayyip Erdogan during the phone talk with Cavusoglu. The Turkish leader said back then that a short violation of airspace was not a pretext to use force. "I reminded my Turkish colleague of this statement and he could not reply to this either, just repeating that they did not know what kind of aircraft this was," the Russian minister said. The minister also wondered if Turkey has coordinated its actions with the United States. "I wonder whether Turkey consulted the US before downing any jet in the Syrian airspace," he said. Russia is still expecting apology from Turkey over the downing of the Russian Su-24 bomber jet over Syria. "We're not going to wage a war against Turkey," Sergei Lavrov said answering a question from a journalist. According to the Russian foreign minister, "the attitude toward Turkish people has not changed." "We have questions only to the current Turkish government," Lavrov noted. But Russia will seriously reassess all agreements with Turkey, he added. As for specific measures, we've recommended our citizens not to travel to Turkey, Lavrov said. "In regard to the current level of our relations and agreements that we have concluded with the Turkish government currently in force in Ankara, as the [Russian] president has said, we will seriously reassess and review everything that is going on in our relations taking into count the attack that was delivered against our airplane," Lavrov said at a press conference. Too many indicators showing terrorist threats have appeared on Turkish soil, Russian Foreign Minister Sergei Lavrov said Wednesday. "We cannot leave everything that has happened without a reaction not because we have to respond somehow, that’s not it. Actually there have been too many indicators on Turkish soil that show a direct terrorist threat to our citizens," Lavrov said at a press conference. Russia may raise the issue in the UN Security Council of developing an overall understanding on the fight against channels of equipping and financing militants in Syria, Russian Foreign Minister Sergei Lavrov said Wednesday. “I think that now we will insist on not just a list of members of this group, but also agree on the overall understanding of the channels the terrorists use to get their feedlines and support,” Lavrov said during a press conference. “We will somehow probably have to deal with certain countries so that this support ends,” Lavrov added. Russia tried to persuade Turkey to take a more balanced position on the Syrian crisis, Russian Foreign Minister Sergei Lavrov said in an interview with Russian and foreign media. According to Lavrov, Moscow "did not try to turn a blind eye" to the fact that Islamists are using Turkey as a platform to prepare terrorist acts in Syria and other countries. "We tried to take into account the interests of our Turkish neighbors and tried to explain our positions in a dialogue," the Foreign Minister said. 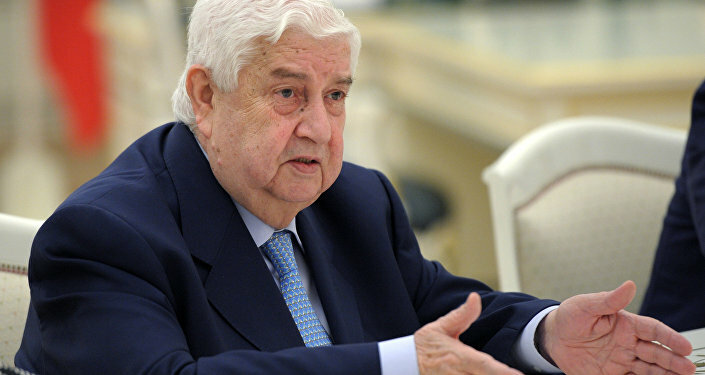 "We tried to persuade them to conduct a more balanced policy not aimed only at getting rid of Assad at any cost and thus cooperating with all kinds of extremist groups," the foreign minister stressed. Moscow backs the proposal of French President Francois Hollande to close the Turkish-Syrian border, Sergei Lavrov said. Earlier Russia's top diplomat cancelled his visit to Turkey after a Russian Su-24 jet was downed over Syria. "The president clearly stated that this could not but affect Russian-Turkish relations. In this context, it was decided to cancel the meeting between Russia's and Turkey's ministers of foreign affairs, which was planned for tomorrow [November 25] in Istanbul," Sergei Lavrov told journalists on Tuesday. On Tuesday, a Russian Su-24 jet crashed in Syria. Russian President Vladimir Putin said that the plane was downed over Syrian territory by an air-to-air missile launched by a Turkish F-16 jet, and fell 4 kilometers (2.5 miles) from the Turkish border. Putin described the Turkish attack as a "stab in the back" carried out by "accomplices of terrorists." The Su-24 tragedy also claimed the life of a naval infantry soldier, who was killed in the rescue operation, according to the Russian General Staff.